Horizon Software is committed to building applications that are accessible to all users, regardless of individual disabilities or challenges with application operability. All new applications built by Horizon Software are required to undergo testing to demonstrate the highest possible compliance to the guidelines outlined in one or all of our Standards documents, and based on a reasonable determination that compliance to the specific section is in scope for the application under test. Requests for Accessibility enhancements outside of the original scope are reviewed on a case-by-case basis. 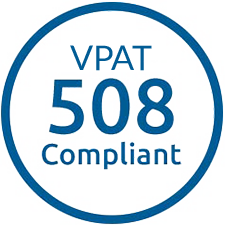 Horizon Software continues to build Accessibility compliance into our Engineering process so that the products we are building are initially released with a high standard for meeting the requirements set forth in Section 508 and WCAG 2.0 AA documentation. Once 3rd party testing of our applications has completed, we work with our vendor to understand the priority and severity of any compliance gaps. Any critical or high priority issue is immediately added to our Product Accessibility Roadmap and then prioritized as user stories in a development plan for an upcoming sprint. Horizon Software’s development teams have been working collaboratively to create a central library where we store common screen controls that have already been validated as complying with Accessibility standards. This is the process followed when creating any new App and the legacy applications are adopting this technique wherever it makes sense. Our developers and software test engineers are continually seeking to stay on top of the latest and greatest techniques for writing highly accessible applications. We share information across the teams internally and work with our 3rd party vendors to stay on top of implementing A11y in latest technology platforms. Horizon Software has recently partnered with one of the nation’s largest Accessibility compliance vendors, Level Access. We have contracted with Level Access to insure our claims of Accessibility compliance are validated for each product and that the VPAT 2.0 template conforms to the new standards set forth by the governing bodies in 2017. Horizon Software provides Level Access a complete demonstration of all of the features, modules and pages contained within our application. 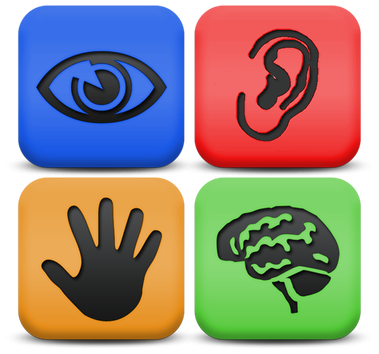 Level Access publishes a list of modules and use cases that will be tested to produce a complete overview of the Accessibility compliance an application has achieved. Level Access completes a Discovery phase in which the application is tested by actual persons with varying degrees of disabilities. Horizon Software obtains the testing results and enters into a period of remediation in which any fundamental issues with Accessibility identified are resolved. Any issue not immediately resolved will be published in a product road map with estimated timing for future remediation. VPAT 2.0 is generated and published and is available to existing or potential customers upon request.